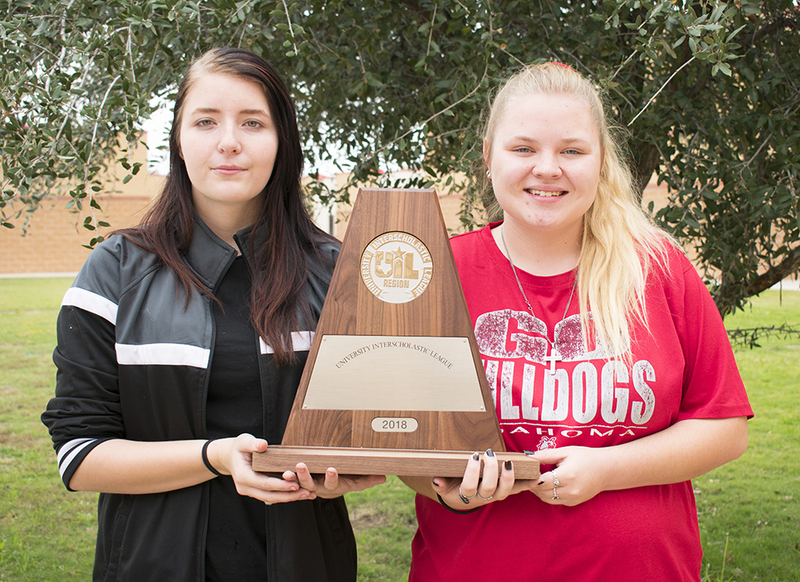 Performing a challenging marching show at contest, the Coahoma High School Big Red Band met the task Saturday to earn a Division I rating at UIL Region VI competition held in Odessa. Overall the band was deserving of the Division I, said Drum Major Ashley Mull. “The commentators made a lot of comments about feet and that could have been better, but I am proud of our freshman and our sophomores and everybody who put in all the work,” Mull said. This year’s show is titled “Dreams of Persia” by Randall D. Standridge which features two solos performed by flutist Andrea King and trumpet player Aaron Turnbough and a more intricate drill design. 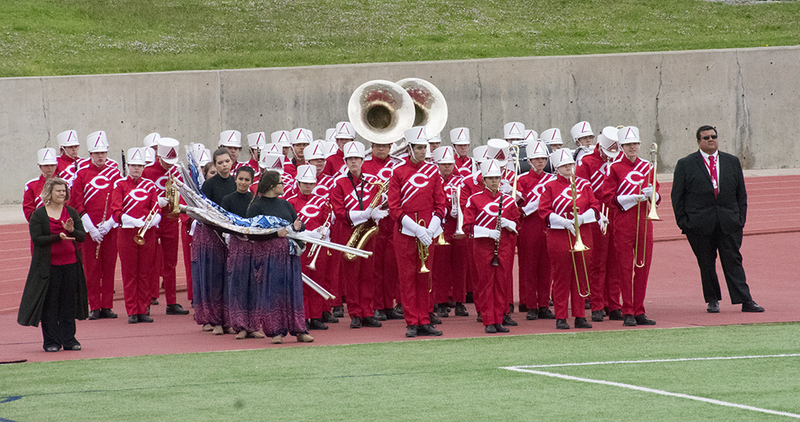 Saturday’s contest at Ratliff Stadium wrapped up months of work started in August and included night practices on the field and in the band hall to perfect the performance. The three judges, who each gave the band a Division I rating, were complementary of the Coahoma’s overall performance, Landin said. Now, Landin said, the band will turn its attention toward enjoying the rest of the football season and supporting the varsity Bulldog football team. The community has three more chances to see the award-winning marching show on the field including this Friday during halftime at the Stanton/Coahoma football game in Stanton. The next two shows are Friday, Nov. 2, at Colorado City and Friday, Nov 9, for the last home game. This year’s 80-member strong band is led by Drum Majors Micah Worley, Naomi White, both seniors, and Ashley Mull, a sophomore. Kira Landin is the assistant band director and Gina Orosco is the coordinator for the color guard.